Our research program is designed to advance predictive understanding of ecosystem ecology and biogeochemistry under the global environmental change via data-model integration. Major issues we are addressing include (1) how global change alters structure and functions of terrestrial ecosystems, and (2) how terrestrial ecosystems regulate climate change. We have used diverse approaches to our research, including experimentation, observation, data synthesis, modeling, data-model fusion, and theoretical analysis. 2nd Training Course on New Advances in Land Carbon Cycle Modeling, May 13-24, 2019, Northern Arizona University, Flagstaff, AZ, USA. 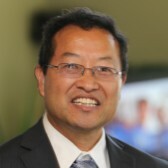 Dr. Luo was identified as a Highly Cited Researcher for 2018, which indicates his citations rank in the top 1% for field and year in Web of Science. Release data assimilation algorithm for "Methods for estimating temperature sensitivity of soil organic matter based on incubation data: A comparative evaluation". Release data assimilation algorithm for "Evaluation and improvement of a global land model against soil carbon data using a bayesian MCMC method". The 1st version of the protocol for model intercomparison on terrestrial biogeochemistry has been released.